Day Spa in Newport ! Beauty uncovered, the ultimate anti aging clinical facial treatment. This facial focus is completely customized to your individual aging concerns. Extrinsic and intrinsic aging serums with high levels of active ingredients will provide instant and long lasting results. Back massage, foot and hand massage with hot stones, included. This clinical treatment is recommended to dull, uneven tone and texture. This very results oriented treatment contains an army of effective anti-oxidants to defend against harmful free radicals to ensure healthier, brighter and glowing skin. Calming, soothing, relief specifically designed for sensitive skin types. This treatment reduces erythema and inflammation from rosacea. Double cleansing to reduce surface oil and to remove dead skin. Corrective products and calming mask and gentle extractions. The often neglected back gets a double cleanse, gentle sugar scrub or enzyme with steam and gentle extractions if needed. A light massage and treatment mask. Great for a special occasion or before vacation. Hot stone massage using smooth, basalt, river stones. 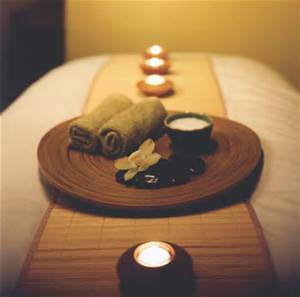 This treatment brings relief to tired and sore muscles, while enjoying a relaxing Swedish massage. exfoliate your skin from within, all while enjoying a scalp massage and application of warmed rich body crème.